(Editor’s Note: The following article and interview have been suppressed by Google, now a “black-ops” contractor. The background on US backing for the Chechen rebels totally debunks attempts to assign blame for the Boston Marathon bombings to any group other than American security agencies and their domestic and foreign contractors who were very obvious at the scene, before and after the attack we believe they staged. Without adequate background on how we got where we are, real information can easily be “shaken off” as conspiracy. FEMA => Re-Education Camps For Corrupt Politicians: Mitigating The Buffoonery Of The World Gang Association’s Propaganda! 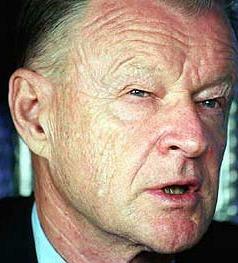 Below is our translation of an interview with Zbigniew Brzezinski. 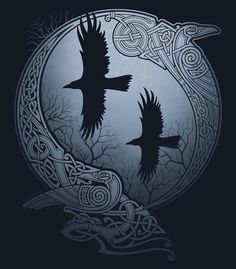 It is important for three reasons. First, it flatly contradicts the official US justification for giving billions of dollars to the mujahedeen in Afghanistan in the 1980s, namely that the US and Saudi Arabia were defending so-called freedom fighters against Soviet aggression. Second, the interview is instructive concerning so-called “conspiracy theory.” To be sure, there are plenty of nutty theories out there. 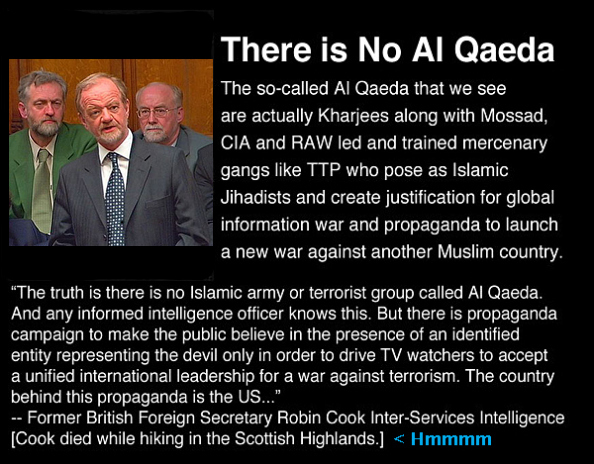 And of course, there are plenty of just plain wrong theories. Zbigniew Brezinski The Most Evil Man On The Planet: Yes USA Will Win, Even When 95% Of The World Population Is Considered Allowable Collateral Damage! The Elite’s Intellect Has Imploded With Too Many Petri Dishes And Not Enough Elbow Grease Reality. But as Brzezinski demonstrates, the US foreign policy establishment did, for want of a better word, conspire. Even as they claimed to oppose Muslim extremism, they knowingly fomented it *as a weapon of policy. * And they lied about what they were doing, pretending they were helping freedom fighters resist an invasion. In other words, deceit on two levels. One must ask oneself: if the US foreign policy Establishment used Muslim extremism as a weapon once, how can one argue *in principle* that they would not use it again? We say they *have* used it again; that they have used it continuously; and that we are seeing the fruits of this policy. Most recently we have seen the real essence of the Brzezinski doctrine in the horrendous events this past week in Russia (culminating in the school attack) and Israel (the double bus bombing). Guerrillas in Afghanistan are about to get money from the United States government for a public relations campaign intended to bring their struggle against Soviet troops to the world’s attention. The money will train Afghan rebel journalists to use television, radio and newspapers to advance their cause. Reporters will be given mini-cameras to photograph the war inside Afghanistan. “It is the goal of this project to facilitate the collection, development and distribution of credible, objective and timely professional-quality news stories, photographs and television images about developments in Afghanistan,” said a notice in the Federal Register. 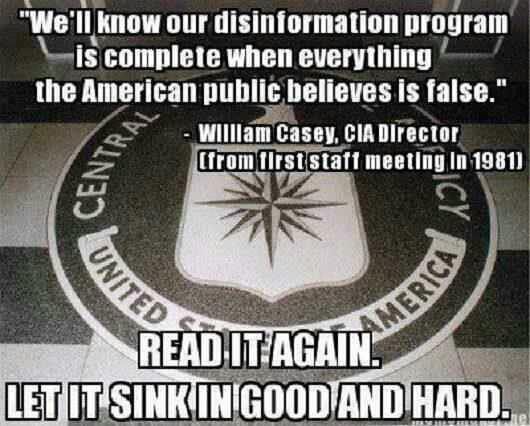 The program will be overseen by Uncle Sam’s own propaganda arm, the U.S. Information Agency. Congress appropriated $500,000 to hire experts and may provide more later. 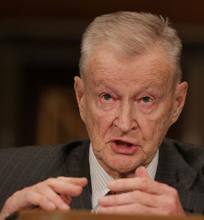 In making the money available, Congress all but instructed USIA to consider an organization like Friends of Afghanistan, a new group whose board includes former Carter administration national security adviser Zbigniew Brzezinski, known for hard-line anti-Soviet views. USIA has solicited proposals, due Sept. 25 (1985). Friends of Afghanistan includes other American foreign policy luminaries such as Lawrence Eagleburger, a former undersecretary of state, and Dr. Zalmay Khalilzad, a Columbia University political science professor and some-time paid adviser to the State Department on Afghanistan. Afghan rebels, called the Mujahedeen, have been battling 100,000 Soviet troops who have occupied the rugged, mountainous country since December 1979.
b) only if they maintained an attitude of implacable hostility to the government in Kabul. ‘The United States has told the Afghan guerrillas that it would support them in an effort to form a provisional government if they consolidate their control of most of the country and meet other criteria,’ the newspaper New York Times today quoted State Department officials as saying. 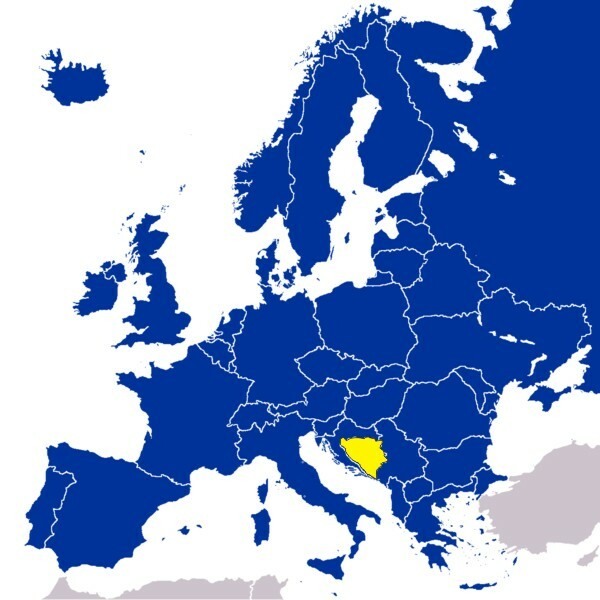 Bosnia and Herzegovina on map of Europe. Brzezinski’s interview has tremendous importance today. According to a Dutch intelligence report on Bosnia, in the early 1990s Pentagon intelligence worked with the Saudis and Iranians to bring weapons and mujahedeen terrorists the ‘Afghan Arabs’ – into Bosnia to indoctrinate and lead Alija Izetbegovic’s Muslim extremists in committing genocide upon the Christian Bosnian Serbs. New York Times White Washed Thugs Bill Clinton & General Wesley Clark In Bosnian War Crimes! The same terrorists had been used against the pro-Soviet side in Afghanistan. Once again the media lied, claiming the Bosnian Serbs were fighting to destroy the Bosnian Muslims (i.e., genocide) when they were in fact defending their communities from the mujahedeen, and were allied with a large group of moderate Muslims. This appeared in the London Times on December 11, 1995. During the 1990s, pictures like this were as rare as hen’s teeth in the Western media. Why? Because they graphically demonstrated that the media was lying when it claimed that the Bosnian Government was moderate and multiculturalist and so on. Founding Fathers First War Was Defending America From Islam: Treaty Of Tripoli. 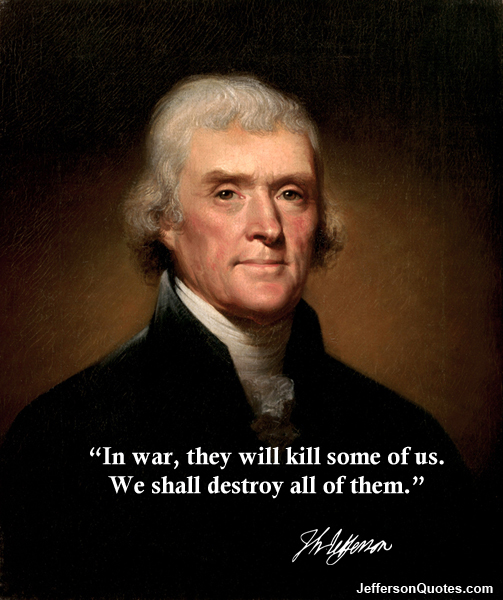 Memorial Day: 1801 First War With The United States By Islam ~ Remembering Those Who Were Enslaved & Killed. British Monarchy Still Using Islam Against The United States: First Attempt Was After They Lost The War With The New Republic – Then They Contrived The Ottoman Empire’s War Of 1815. 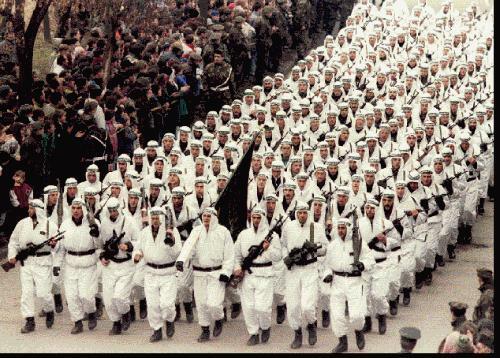 Bosnian Muslim Army troops of the CIA Al-Qaeda linked El Mujahedeen Unit parade in downtown Zenica in central Bosnia in 1995, carrying the black flag of Islamic jihad. The white costumes these troops are wearing are the uniforms of Middle Eastern mujahedeen, not Yugoslav Muslims. The Bosnian Muslim troops wore them because they had been indoctrinated by Muslim extremists, including mujahedeen imported by Iran, Saudi Arabia and other extremist states, with the participation of Pentagon intelligence. In the early part of the Bosnian conflict (up until January 1993) Zalmay Khalilzad, the protégé of Zginew Brzezinski, was in charge of strategic planning at the Pentagon. By the late 1980s Brzezinski’s protégé, Prof. Zalmay Khalilzad, was the top strategist of the Afghan war. 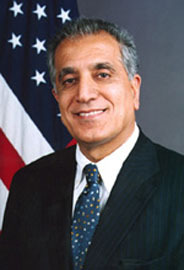 Under the administration of Bush, Sr., Khalilzad was in charge of strategy at the Pentagon. We have substantial evidence that it was under Bush, Sr., not Clinton, that the US began assisting the mujahedeen in Bosnia. So, in both cases, we have Brzezinski’s protégé directing the use of Muslim extremism as a weapon against a secular state, with the media misrepresenting the nature of the fight. The Brzezinski Doctrine in action. Khalilzad was in charge of US policy on the ground in Afghanistan before and during the 2001 war. 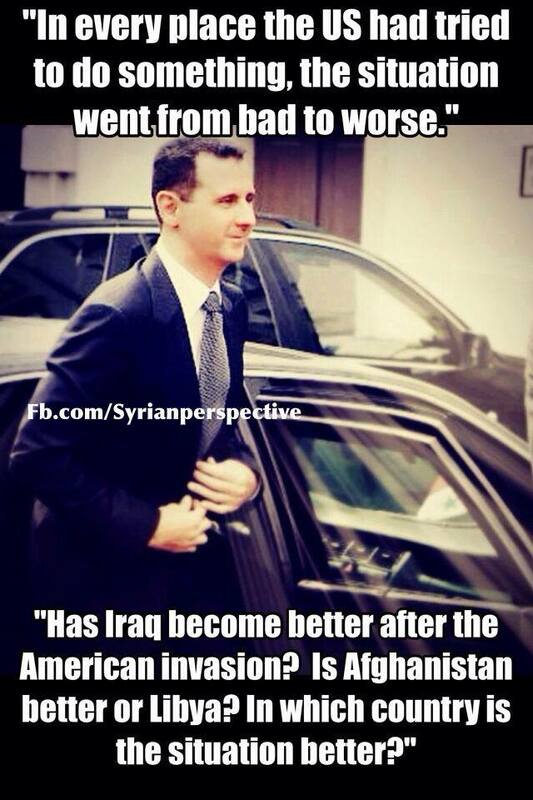 He then personally chose the Afghan government. It was under his watch that the US and Iran cooperated in convening a top level conference to give Afghanistan a government based on Muslim religious law. Now he’s Ambassador and Special Envoy to Afghanistan. Even while Khalilzad was in charge of Afghanistan he was also the key man on the ground before, during and after the invasion of Iraq. He was in charge of political relations with Iraqi exile politicians and the Iranian and Saudi governments up until the fall 2003. A crucial period. His area of official responsibility included Georgia during the period when the US was intensifying the financing and training of the Georgian military. Russia accuses Georgia of aiding the Chechen terrorists. So Brzezinski has been the key hands-on strategist, the leader on the ground, in a vast area plagued with Muslim extremist terror during most of the so-called war on terror. 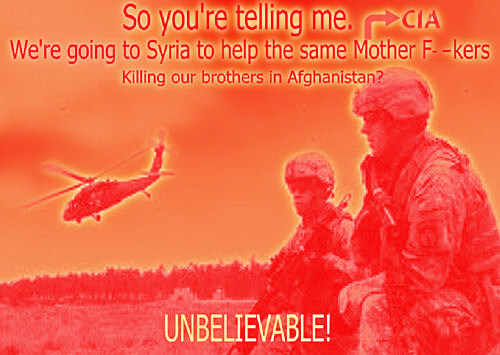 The American secret services began six months before the Soviet intervention to support the Mujahideen [in Afghanistan]. At that time you were president Carters security advisor; thus you played a key role in this affair. Do you confirm this statement? Actually it was on 3 July 1979 that president Carter signed the first directive for the secret support of the opposition against the pro-Soviet regime in Kabul. And on the same day I wrote a note, in which I explained to the president that this support would in my opinion lead to a military intervention by the Soviets. Despite this risk you were a supporter of this covert action? But perhaps you expected the Soviets to enter this war and tried to provoke it? It’s not exactly like that. We didn’t push the Russians to intervene but we knowingly increased the probability that they would do it. When the Soviets justified their intervention with the statement that they were fighting against a secret US interference in Afghanistan, nobody believed them. 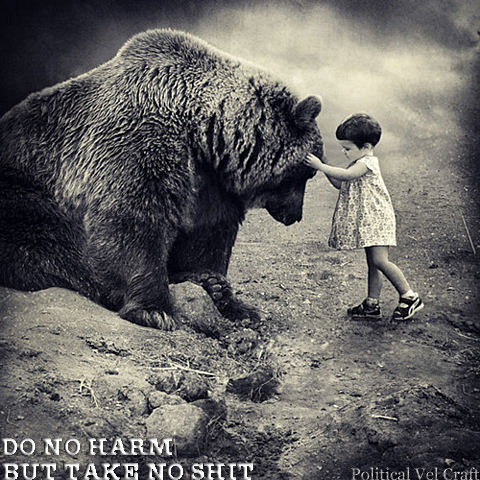 Nevertheless there was a core of truth to this…Do you regret nothing today? “We now have the opportunity to provide the USSR with their Viet Nam war.” Indeed for ten years Moscow had to conduct a war that was intolerable for the regime, a conflict which involved the demoralization and finally the breakup of the Soviet Empire. And also, don’t you regret having helped future terrorists, having given them weapons and advice? Rubbish! It’s said that the West has a global policy regarding Islam. That’s hogwash: there is no global Islam. Evidence Christianity Sweeping The Globe ~ islam Fastest Dying Religion. Islam Fastest Dying Religion In The World : Christianity In China Booming: Largest Christian Population In The World Which Outnumbers Chinese Communists! U.S. Corporate Media Blackout On Waco Missile Attack: Corporate “Act Of Terror” Leaves 14 Dead! Banking Cabal’s Eco Terrorism Against The People Of The United States: Louisiana Sink Hole ~ British Petroleum’s Mega Disaster In The Works! Climate Change Scare Machine: Prosecute Them Now For Climate Terrorism! ← Americans In Denial Are Going To Experience One Hell Of A Collapse!